In the estate planning process, beneficiary designation mistakes are considered especially costly. In Florida, dedicated attorneys who handle wills, trusts and probate matters are members of an elite squad known as estate planning attorneys. 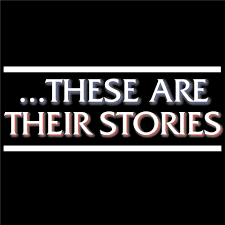 These are their stories. Dun Dun. Prince died without a plan. We talked about this, his estate is still contested. LESSON: you should have a plan. When Barry White died in 2003, he was separated, but not yet divorced. His wife inherited everything and his live-in girlfriend of several years and nine children received nothing. LESSON: In Florida, you’re either married or not married. There is no “legally separated distinction.” Updating your estate plan after or pending a divorce is critical. Heath Ledger’s will left everything to his parents and three sisters. Ledger’s will was written before his daughter was born, leaving the then 2-year-old and her mother nothing. LESSON: it’s important to review and update your estate plan after major life events. Olympic sprinter Florence Griffith-Joyner, aka FloJo, was believed to have a will when she died, but her family couldn’t locate the document. Years of legal battles between Joyner’s husband and her mother ensued. LESSON: Most estate-planning lawyers will keep a copy of your will or trust on file, but you should also keep the original documents in a safe, readily accessible place and tell at least two people where to find the documents if needed. Marlon Brando left the bulk of his roughly $26 million estate to his producer and other associates. His longtime housekeeper claimed that Brando promised his home when he died, but there was nothing in writing to that effect. She sued Brando’s estate for the value of the home, plus $2 million in damages. The case settled for $125,000. LESSON: Put each of your wishes in writing with your lawyer.